Preowned Minnie that delivers BIG features. See this used 2016 Winnebago Minnie 2201DS Travel Trailer at our Salem location. Clean and well cared for an ready for new owners. 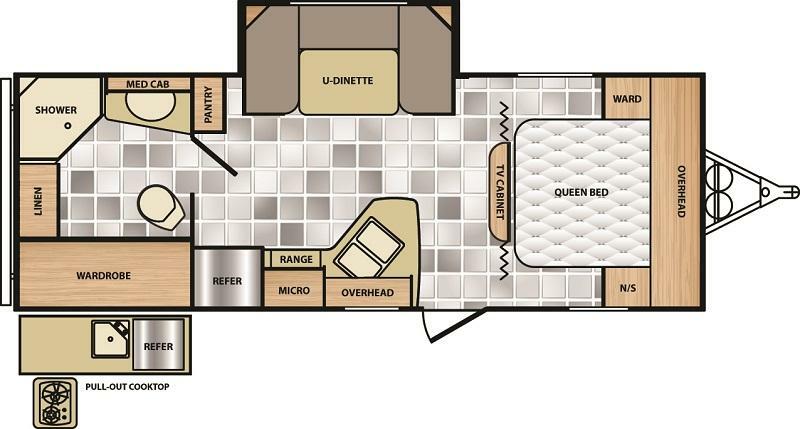 Large U-dinette and fun kitchen area. Lots of room to relax and entertain. A MUST SEE!